Learning how to spice up your food is a great way to turn your ordinary prepped meals extraordinary. There’s nothing worse than bland food or eating the same thing over and over. Thankfully, it’s quite easy to keep things interesting, and tasty! While preparing your meals is not always an easy task since it will almost always call for quite a bit of preparation and practice, meal prep doesn’t have to be difficult or boring. In fact, meal prep can be quite easy and even enjoyable! It is common knowledge among many people, especially those who love flavored food that Asian dishes have the best recipes and flavor. Some of the spices included in this food include ground ginger, star anise, coriander, and ground garlic. These spices are combined with tofu, fresh garlic, and noodles to produce one of the tastiest rice with an attractive aroma. This flavor is commonly used in the preparation of some of the most common Asian dishes such as rice bowls, stir fries, broccoli bowls, and noodle bowls among others. If you want to try some Mexican dishes and flavors for that new feeling that takes you out of the normal foods that you have been consuming. Mexican flavor is unique and is used to prepare customized food products that you will not find in other part of the world. Some of the basic spices that you will need to come up with a good and delicious recipe include garlic powder, onion powder, annatto seeds, cumin, and chili powder. Some of the standout Mexican dishes include tacos, burritos, fajitas, and quesadillas. Trying south Asian dishes brings about the taste of traditional flavor that you have not tasted for a while. Thai flavor replicates dishes in other areas in South Asia such as Singapore, Malaysia, and Vietnam among others. Most of the flavor and recipes found in South Asia are different from other food and recipes found in other parts of Asia such as China. One of the standout ingredients that is used in the preparation of spices includes turmeric, lemongrass, and Basil among others. India is an interesting country with interesting people and culture. However, one of the standout things that should be attracting you in India is the unique recipe and flavor prepared in this country. Preparing Indian’s preps is easy. You will only require some few spices such as turmeric, cinnamon, nutmeg, and the common curry powder. Garam masala spice is also added to make some of the traditional dishes in India such as tikka masala, lentil dal, and curries among others. The only problem is that Indian preps are very sour and can only be prepared by those who are willing to tolerate the bitter mist. Italy is not only known for its fashion taste and sufficient sun. Food is also another essential attraction that many people should taste when they visit the European nation. There are basic Italian preps that you should try such as pizza, pasta, and other roasted meats such as chicken bakes. Majority of the Italian dishes are similar to those that are found in other European countries, but their preparation is significantly different due to different spices such as parsley, oregano, and rosemary among others. Other essential ingredients used in the preparation of Italian dishes include pesto, olives, and parmesan, and mozzarella cheese. There are many African preps and flavors that you can try, but the Moroccan dishes stand tall among others. These preps are very attractive, especially to those individuals who are highly interested in Arab foods and spices. Some of the standout Moroccan dishes you should try include kebabs, stews, rice bowls, and couscous among others. There are some special food products that you can prepare such as cloves, cayenne, and cilantro. All these spices and flavors are very difficult to come by. You cannot get the full realization of the taste of food without tasting Mediterranean dishes. Flavors and ingredients in this region are different from what you will get from Spanish and Italian dishes. Preparation methods are comfortable and very attractive to all those people who like cooking. Some of them can even be prepared by a person who has no training and skills in food preparation. Some of the Mediterranean dishes that you should try include roasted fish, veggies, rice bowls, and chickpea among others. Some important spices are needed in the preparation of the Mediterranean dishes which include dill, rosemary, basil, and oregano. Other very important ingredients are also incorporated in preparation of these food products such as fresh mint, tomatoes, lemon, and cucumbers among others. Preparing your meals using various spices and flavors from other parts of the world is a great way to change things up, making the normally boring process of meal prep fun and rewarding. Your taste buds will thank you too! You are really going to enjoy the recipe and preparation method from culturally inspired dishes and eating tasty meals throughout your week is going to make the process of meal prep even more worth it. 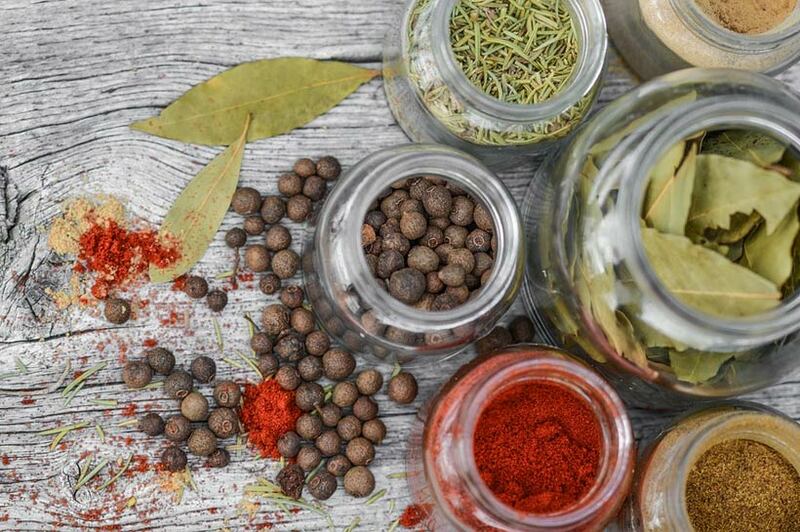 Eating food from different cultures may even help enhance the overall health of the body since most of the food ingredients you’ll be using are herbs that pack medicinal value. Using culturally inspired spices, flavors, and dishes is truly a win-win when it comes to meal prep, so don’t be afraid to give it a try.